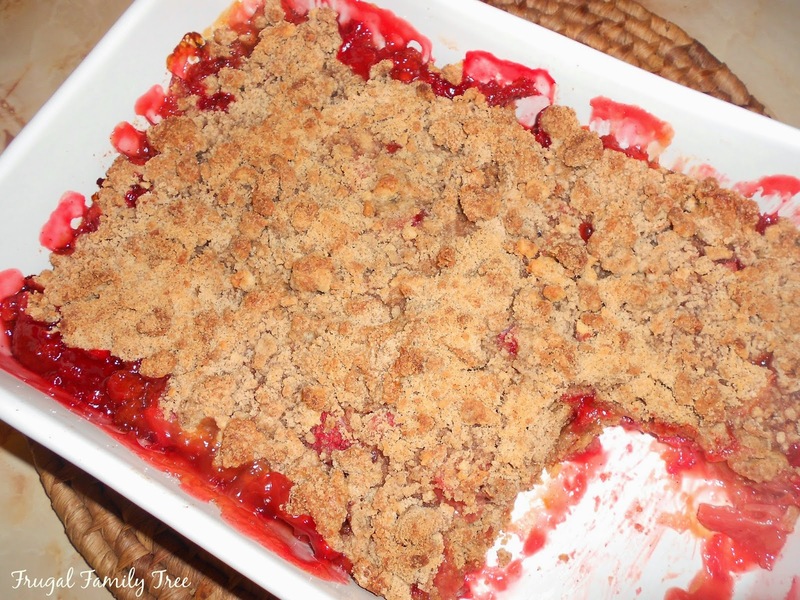 Making a fruit crisp is one of my very favorite ways to enjoy the summer season.. Whether served plain, or with a scoop of vanilla ice cream on top, it's always a delicious dessert my family and I love. 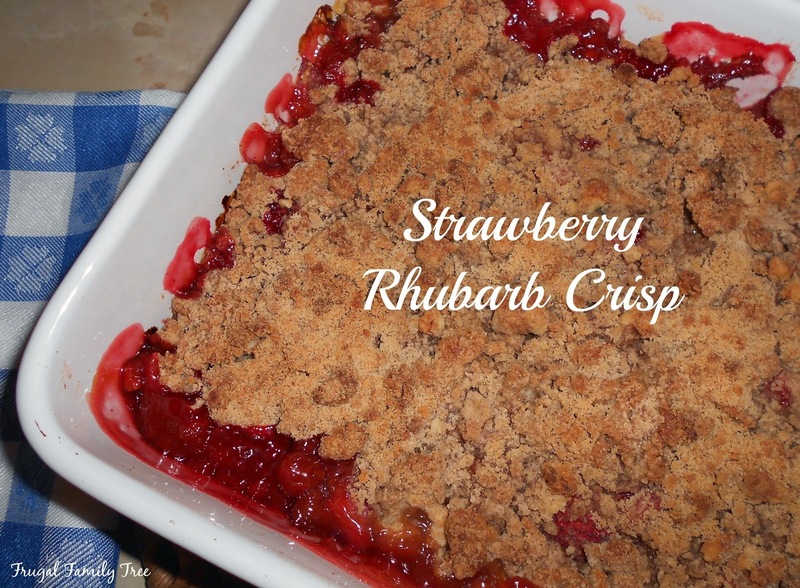 While I'm not really a big rhubarb fan, I do like the unique flavor it gives to this crisp. And this was one of my favorite dessert growing up, so it has a bit of nostalgic meaning for me. I like this dessert best when it's still warm from the oven, with that scoop of vanilla ice cream on top of it. But it's also great for breakfast. Either way, it's pretty yummy. Serve warm, or at room temperature. Top with vanilla ice cream or whipped topping.